Unexpectedly, we find ourselves repeatedly called away from our work combatting documented neo-Nazis to push back against those who should be our allies – most recently, the anonymous editorial board of The News Tribune (TNT). TAN believes strongly in the power of an independent free press, and we find the news reporting on TAN and the neo-Nazis hiding in plain sight in our community to be clear eyed, factual and uncompromising. Which is why we are so perplexed by the editorial board’s two TAN-focused editorials. 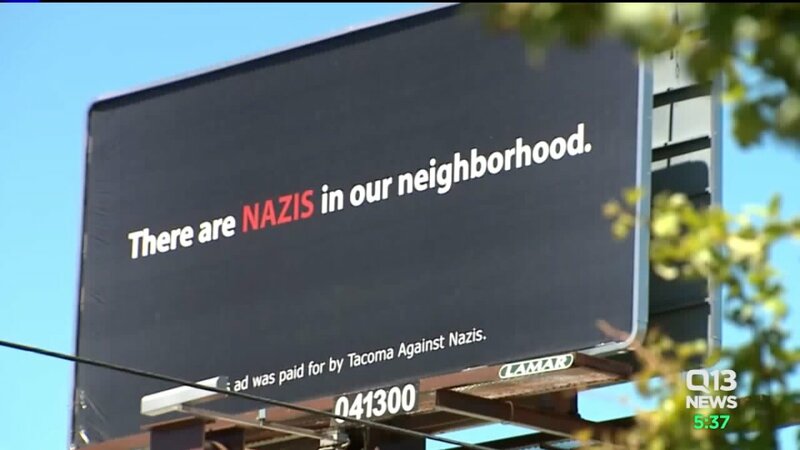 Our coordinated responses to the presence of Nazis in Tacoma hasn’t given oxygen to these hatemongers – it has exposed a fire that has been raging out of sight in our city and all over America for decades. Our white supremacy problem has been oxygenated by the silence of white people who would rather carry forward an agenda of appeasement hoping this wildfire will burn itself out. We refuse to perpetuate that agenda any longer. TNT editorial board, we needed you in this moment. We needed you to be at your best so that you might hold us accountable for being at our best. Through your ineffectiveness, you’ve let us – and our community – down.